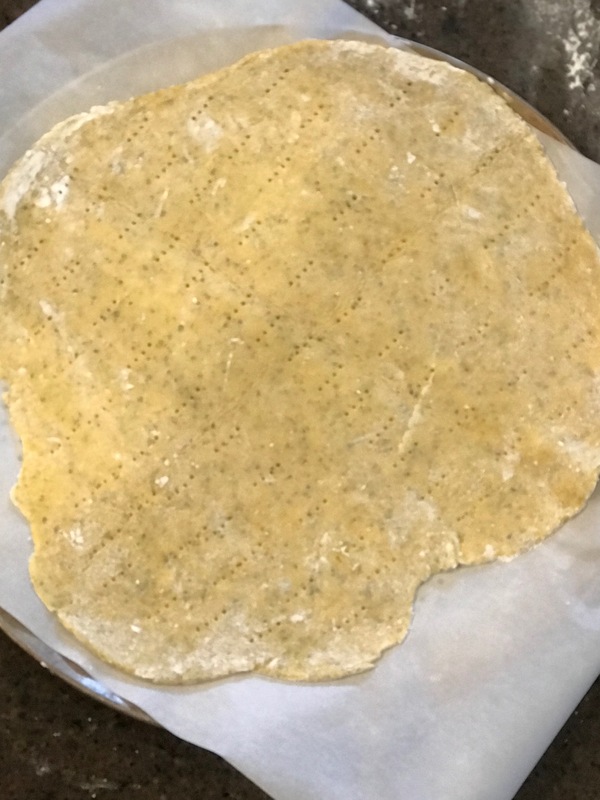 Gluten Free Pizza Crust comes together in less than 30 minutes, with a blend of almond flour, tapioca flour, spices and eggs. It makes a fast, easy and delicious pizza without yeast. 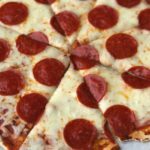 Pizza is a staple in our house and creating the perfect grain and gluten free pizza crust took some time, but my family didn’t seem to mind having pizza over and over again until I got the recipe just right! 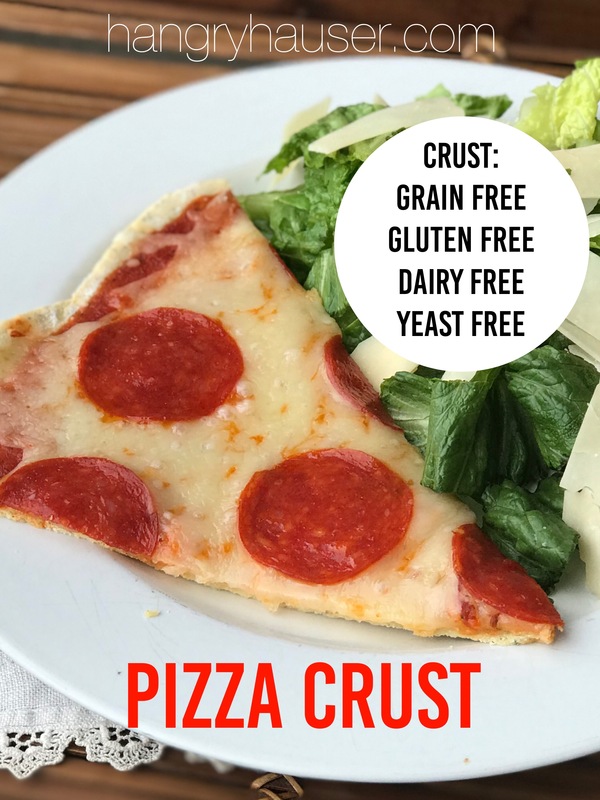 This thin and crispy pizza crust will be loved by everyone, whether they have to stick to a grain and gluten free diet or not. 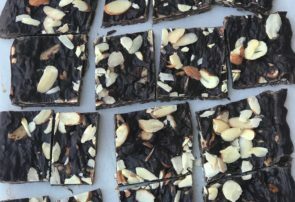 This gluten free pizza crust comes together using almond flour, tapioca flour, a blend of spices, eggs and water! Yes! 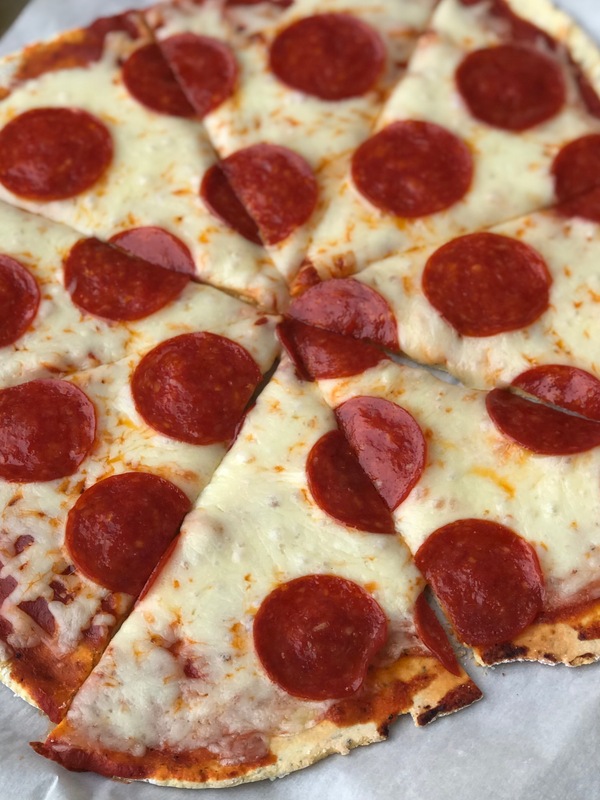 This crust is thin, crispy and delicious! The flavor and consistency (very sturdy) is everything you want in a pizza. Making homemade pizza crust can sound intimidating, but I promise it’s nice. 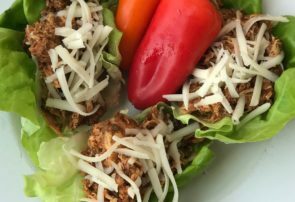 This crust is super easy to make and is ready to eat in under 30 minutes! To start, whisk together your almond flour, tapioca flour, salt, garlic powder and oregano in a large bowl. Add in eggs and incorporate using a wooden spoon till mixture starts to come together and is very crumbly. Next, add in water and continue mixing with wooden spoon until dough begins to form together. 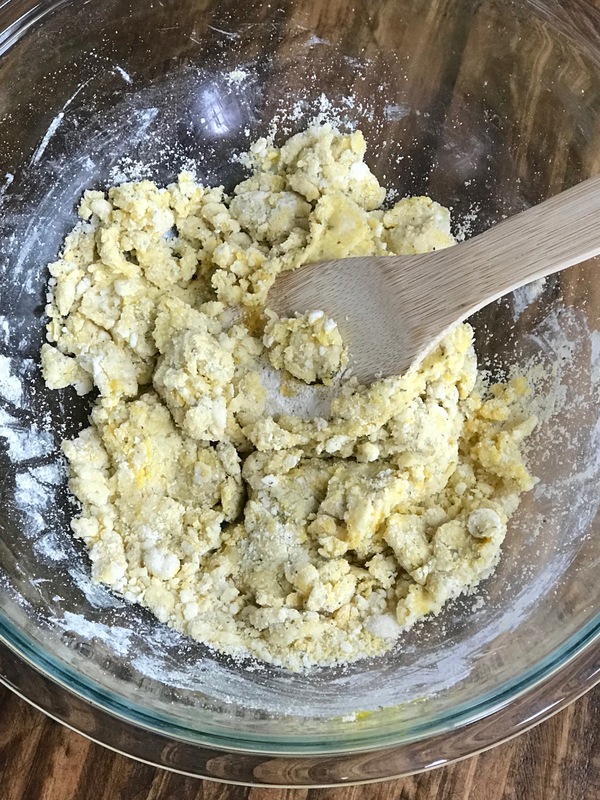 Once dough has begun to form, ditch the spoon and use your hands to combine the dough into a round ball. 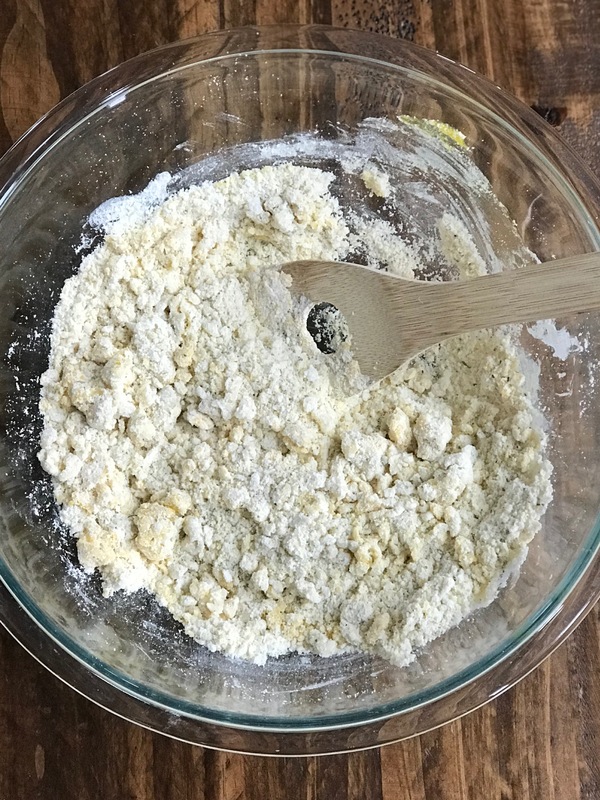 Once dough comes together in a ball, sprinkle tapioca flour on countertop and place dough on flour and then sprinkle more flour on top and knead dough with hands until dough is soft and easy to work with (dough should no longer be sticky). Next up, rolling the dough! Make sure counter top is coated in tapioca flour and sprinkle tapioca flour on top of dough before rolling. 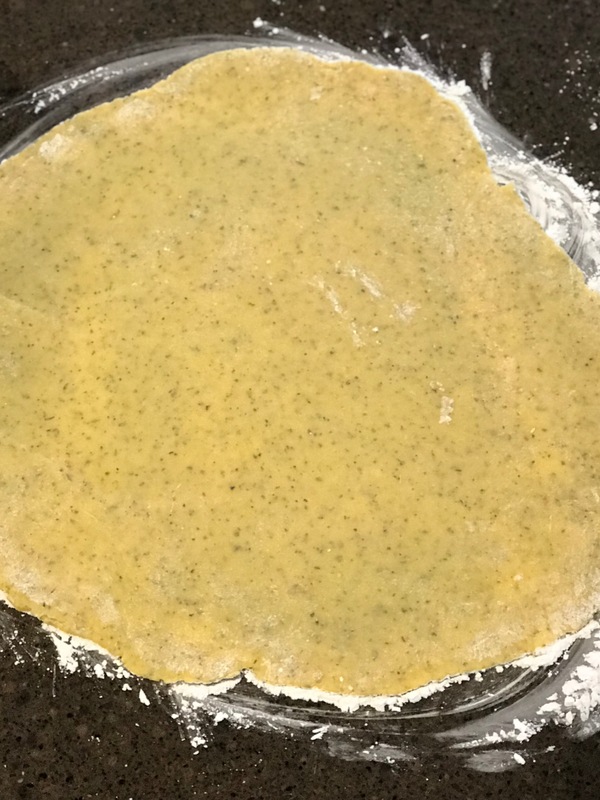 Roll dough out into a 14×14 inch circle. 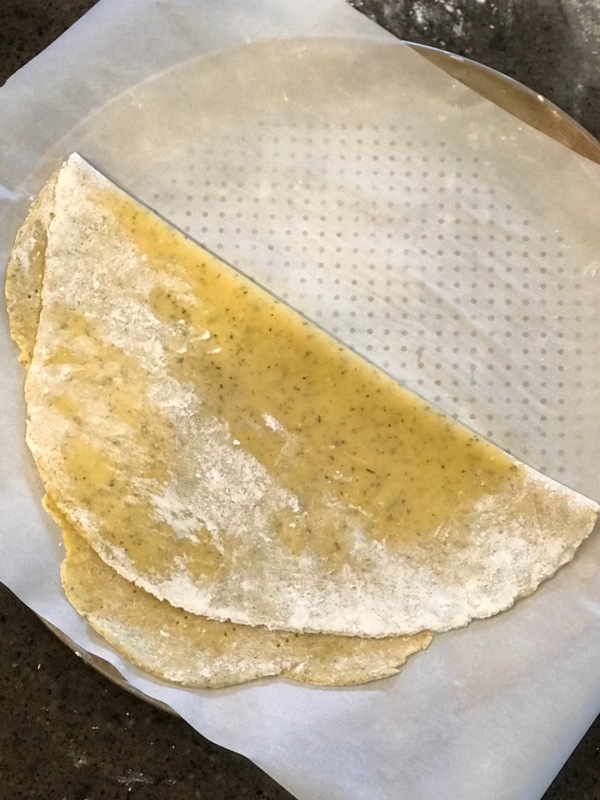 Line a pizza sheet with parchment paper, fold dough in half and transfer to pizza sheet. Unfold pizza crust on sheet and then, using a fork, poke holes in crust. Bake pizza crust at 400 degrees for 10 minutes. Remove pizza crust from oven and top with marinara and your favorite pizza toppings. Place pizza back in oven and cook for 6 minutes more, until cheese is melted and toppings are hot. 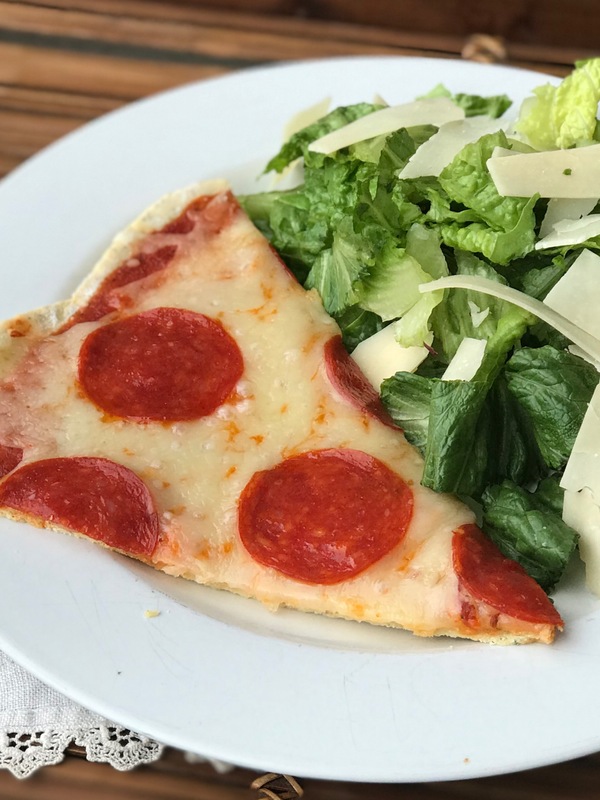 Slice pizza and serve hot with a salad for the perfect dinner! If you have a little extra time, these Brussels Sprouts make the perfect side dish to pizza! In a large mixing bowl, whisk together tapioca flour, almond flour, salt, garlic powder & oregano. Add in eggs and combine using a wooden spoon till mixture begins to come together and is crumbly. Add in room temperature water and continue to combine using a wooden spoon till dough forms. 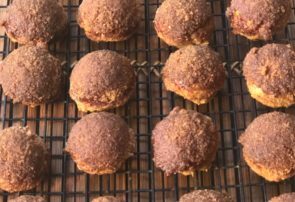 Using your hands, continue to combine dough till a ball forms. Sprinkle counter in tapioca flour and knead dough on counter until it is smooth and easy to work with (no longer sticky). Sprinkle more tapioca flour on countertop and place dough on flour. 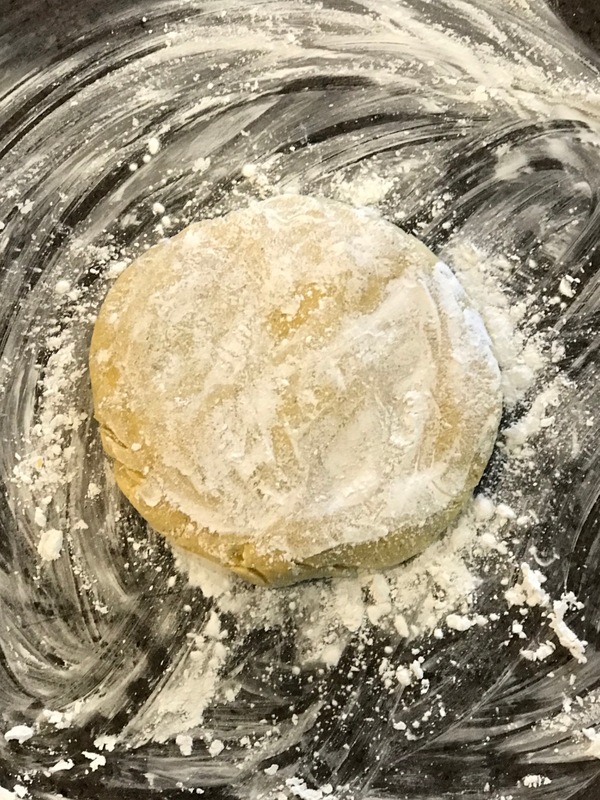 Using a rolling pin, roll dough out into a 14x14 inch circle. 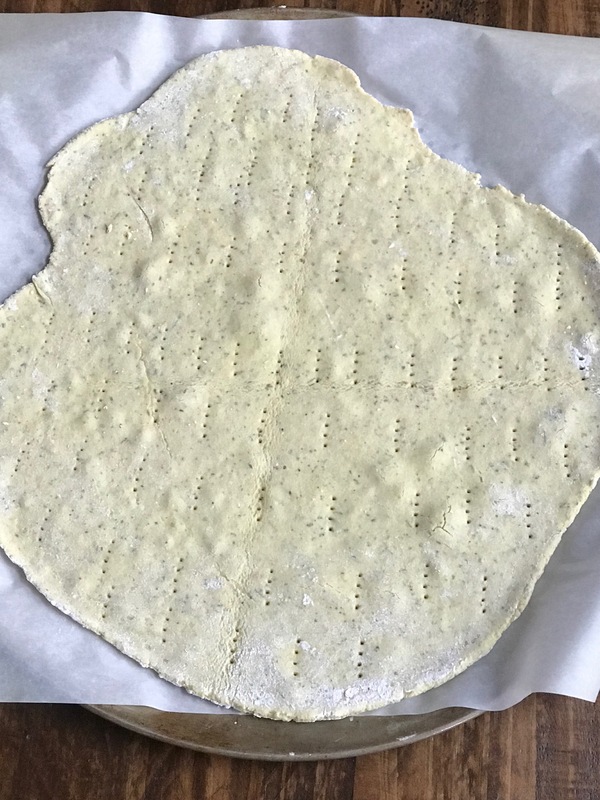 Fold dough in half and transfer to a parchment paper lined pizza sheet. Unfold dough on pizza sheet and using a fork, poke holes in dough. Bake crust at 400 degrees for 10 minutes. 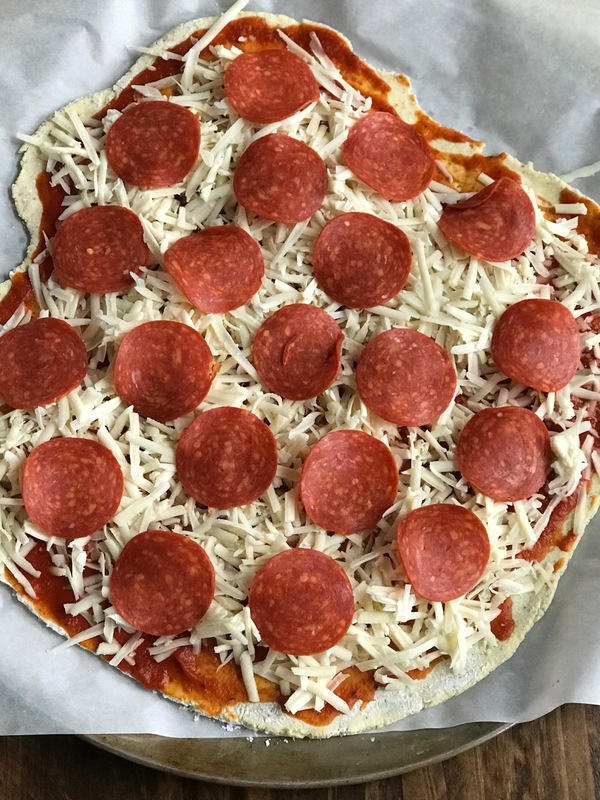 Remove crust from oven, top with marinara and your favorite pizza toppings and then put back in the oven to finish baking for 6 more minutes.